I know many of you needed something like this, so I've decided to make a video about the 50 most common Greek verbs. This is a pure vocabulary lesson, no grammar involved. 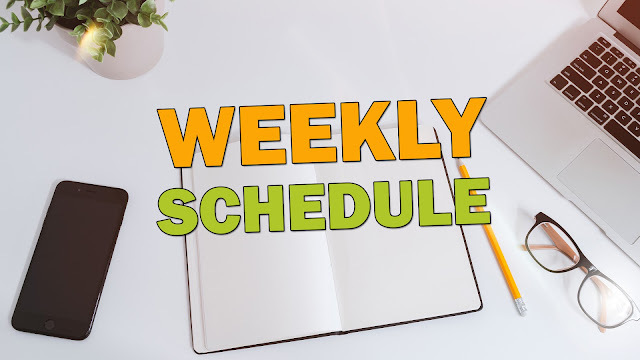 It is ideal for beginners, who take Greek lessons with a teacher and they need a list of verbs to organize their studying, or for those who learn Greek without a teacher and need a place to start. So, without further ado, watch this video and if you like it give it a thumbs up! Don't forget to subscribe to my YouTube channel "Learn Greek with Lina", for more videos like this! Under the video, I give you the list of the verbs with the examples, so that you can print them on paper if it is easier for your studying. Do you have an umbrella? O Ανδρέας πηγαίνει στο σχολείο. Andreas is going to school. Can you give me a towel? Πήρε τα κλειδιά του κι έφυγε. He took his keys and he left. Μου ζήτησε ένα ποτήρι νερό. He/She asked me for a glass of water. Η γυναίκα κρατάει μια τσάντα. The woman is holding/holds a bag. Μαρία, φέρε μου λίγο χυμό. Maria, bring me some juice. In the evenings, I listen to music. Πέρασα από το σπίτι σου, αλλά έλειπες. I dropped by your house, but you weren't there. 19. γυρίζω, γυρνάω (γυρνώ):to turn, to return, to come back. When will you come back from vacation? Θα βάλω τα ψώνια στο ψυγείο. I'll put the groceries in the fridge. Ο Θανάσης έβγαλε το σκύλο βόλτα. Thanasis took out the dog for a walk. I close/am closing the window. I will go to sleep early tonight. Δε βλέπω πολύ καλά, έχω μυωπία. I can't see very well, I am short-sighted. Why are you looking at me like this? Όταν μεγαλώσω, θα γίνω ζωγράφος. When I grow up, I'll be (become) a painter. Μου αρέσει αυτό το τραγούδι. Οι φίλοι σου σε αγαπούν. The kids play/are playing hide-and-seek. Excuse me, I didn't understand. I'm learning English and Greek. I eat a lot of vegetables. Μην το πετάς, το θέλω. Don't throw it away, I want it. We'll go out for a walk. Σκούπισε τα πόδια σου πριν μπεις. Wipe your feet before you enter. I'm looking for a house downtown. Δε βρίσκω τα γάντια μου. I can't find my gloves. 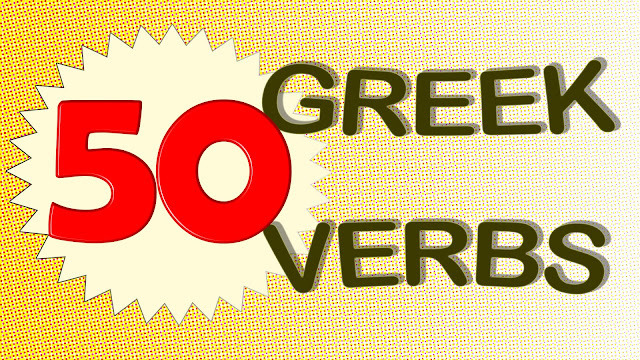 These were the 50 most commonly used Greek verbs, with one example each. Don't forget, there will be separate videos for most of these verbs, exploring their use in depth, with many more examples. There are already videos for "είμαι" and "έχω". Until then, don't forget to subscribe! The Greek preposition "σε" - Η πρόθεση "σε"
Prepositions are very important in many languages. In Greek there are 39 prepositions. The most commonly used preposition is "σε". It can be translated to "at", "in", "on", "to" and it's actual meaning is closest to "to" and "at". Είμαι στη δουλειά: I am at work. It can be used to express place, destination, time, manner, purpose, situation and it is also used in many expressions or idioms. Finally, it can precede the indirect object of some verbs. Το έδωσες σ' εμένα. - You gave it to me. Most of the time, you'll find the preposition "σε" combined with the definite article, in noun phrases, just like in the previous examples. There are special forms of the definite article combined with the preposition "σε" into single words. Γεια σας, φίλοι μου! Είμαι η Λίνα and this time, we're going to prepare ourselves to explore a Greek city in more onfidence. How? By learning how to ask, give and of course understand the directions we receive in Greek. In this video lesson I've decided to challenge you a little and let you check how much you underestand by only hearing the Greek language, so I 've left the text out intentionally at some parts. Do you find this hard, or did you just realize that you can recognize the sounds much easier? Well, if you have watched some of my previous lessons, I'm sure you'll feel much more comfortable. So let's see what's going on in this video. 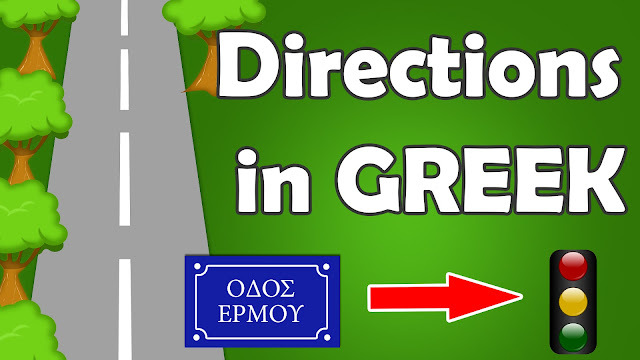 First, I give you the basic questions about directions that you can ask in Greek. Pay attention to the cases of the noun that we use in each question. In Greek, we often use a preposition after an adverb to express place. Sometimes, only when the preposition is "σε", the adverb can be omitted if it is obvious what it would be. 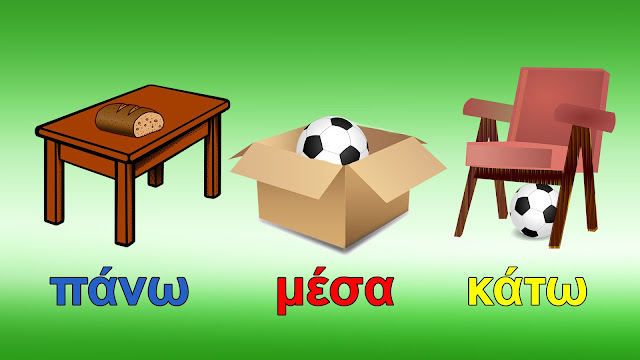 For example if we want to say: "The ball is on the table", we can say: "Η μπάλα είναι πάνω στο τραπέζι" or "Η μπάλα είναιστο τραπέζι". In the second sentence we omit the adverb "πάνω" (on) because it is easy to guess. The word "στο" is the definite article "το" combined with the preposition "σε". For more info about the definite article watch this video I made. It explains the use of the definite article and also its grammar. As always there are many examples in it. In this lesson, we'll learn some very common adverb-preposition combos, and we'll also expand our vocabulary. All this, of course, with the help of images and a fun game at the end of the video. Hello, friends! I thought that if you need to keep things organized you should know what videos I'm going to upload at least a week in advance. Don't forget to subscribe to my channel for many more Greek lessons!